Sambar can easily be the most favourite of all kuzhambus in south indian cuisine. 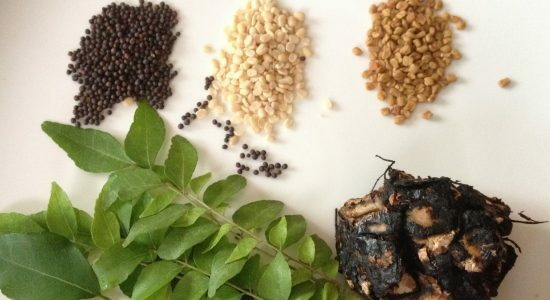 This is the second course in a Tamilnadu meal (https://dosaikal.com/2011/10/14/thamizhar-virundhu-feast-of-the-tamils/). This is a lentil and vegetable gravy prepared with an exclusive podi/powder called the Sambar Podi. One cannot find a south indian or especially Tamilnadu household without Sambar Podi or Powder. 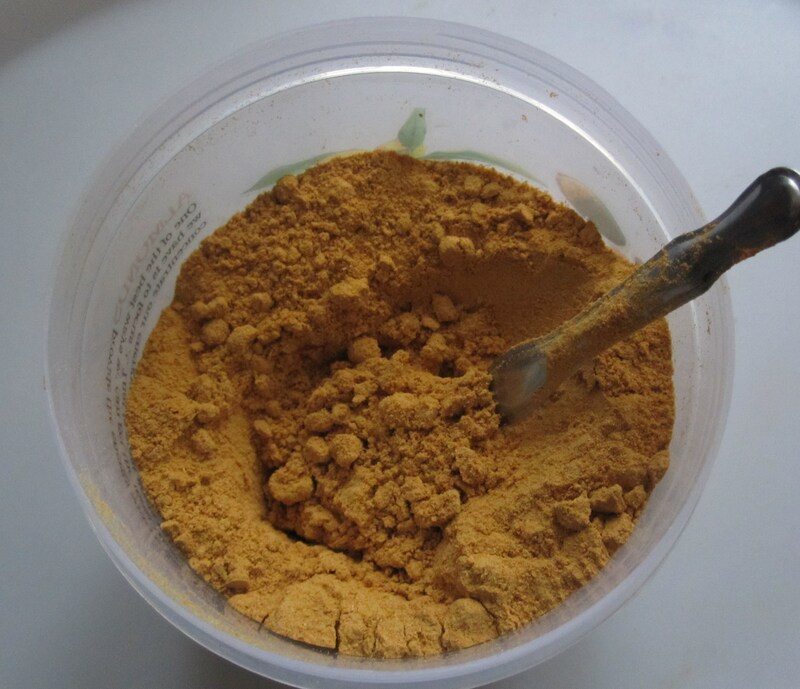 Though there are several sambar powders available in stores across the world, in traditional homes or in most households, the powder is still prepared by mothers and given to their daughters. I still get it from Amma and have no plans of making my own in the near future too! My mother got it from her mother and now it is my turn! Since the basic sambar powder is a household preparation, transferred from mothers to daughters, the taste of Sambar in each home differs in taste and looks. 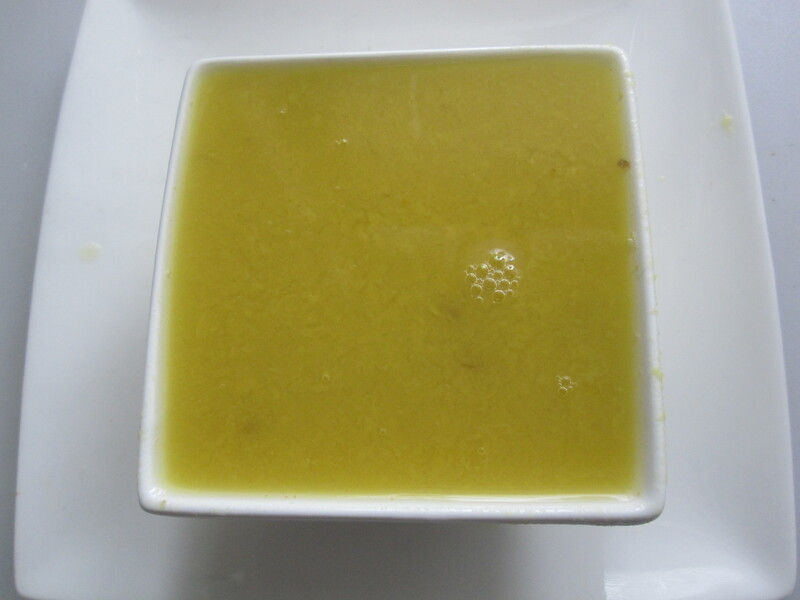 Though thuvaram paruppu/thuvar dhal/split pigeon pea is the lentil used in the sambar to be had with rice, the vegetables used and the combination of the ingredients used in the powder differs. This gives the specific flavour of Sambar of each household. Sambar is had with Idlis, Dosais, Uppumas, Adais, Idiyappams – all breakfast/dinner items and with starters or with deep-fried snacks like vadais, bondas and many more. When lunch and dinner has rice as the base food, sambar is the most preferred. 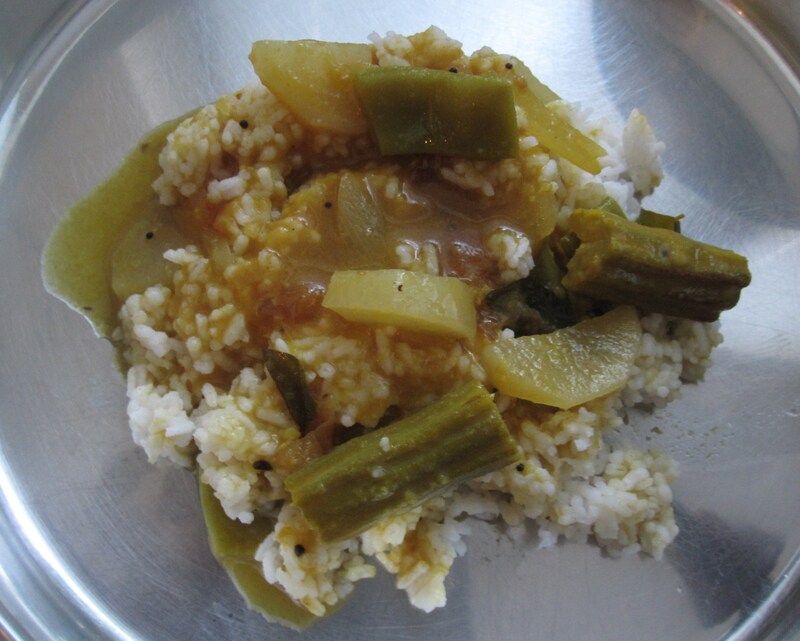 A busy day’s simple lunch would constitute rice and sambar with a vegetable side-dish and rice and curds to end. 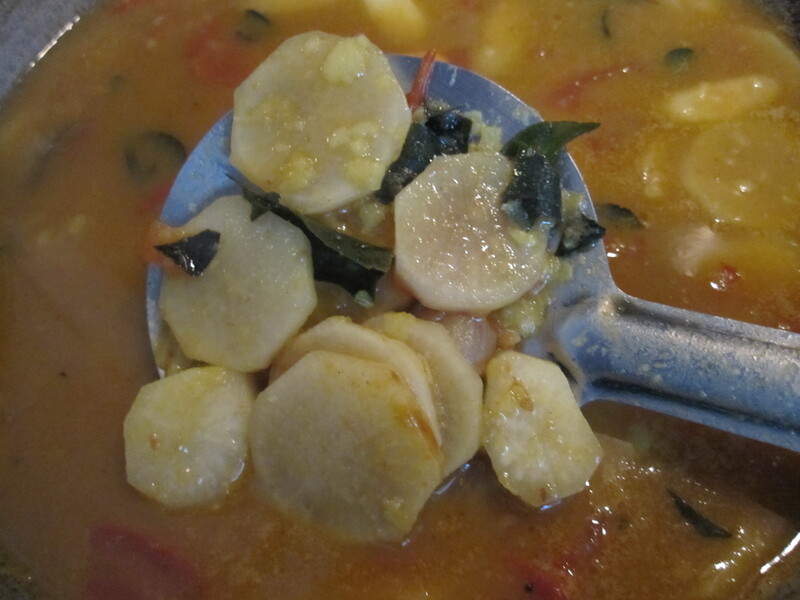 Sambar to go with idlis and dosais differs from the sambar made for rice. Several ingredients are dry roasted and ground in the mill as each family makes it in plenty to store for months and packs for daughters like me. When I came to live in a country very far from Chennai, and the Sambar powder that amma sent with me would be done in five to six months time… my chithi (mother’s sister) gave me this idea. She dry roasted all the ingredients needed for sambar powder and packed them in several packets. After amma’s ready-made sambar powder would be done, she asked me to just re-roast one packet each time, and powder it in a blender and fresh sambar powder would be ready. Thankyou Chithi!! That was an excellent idea for some fresh sambar powder without struggling for the ingredients each time. 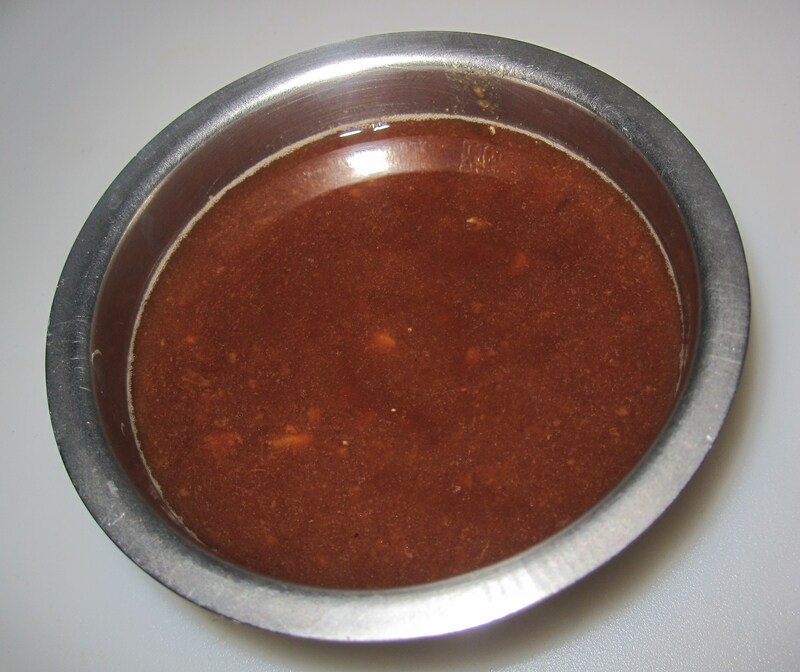 So, till today, I do not know to make traditional sambar powder – thanks to amma and chithi. 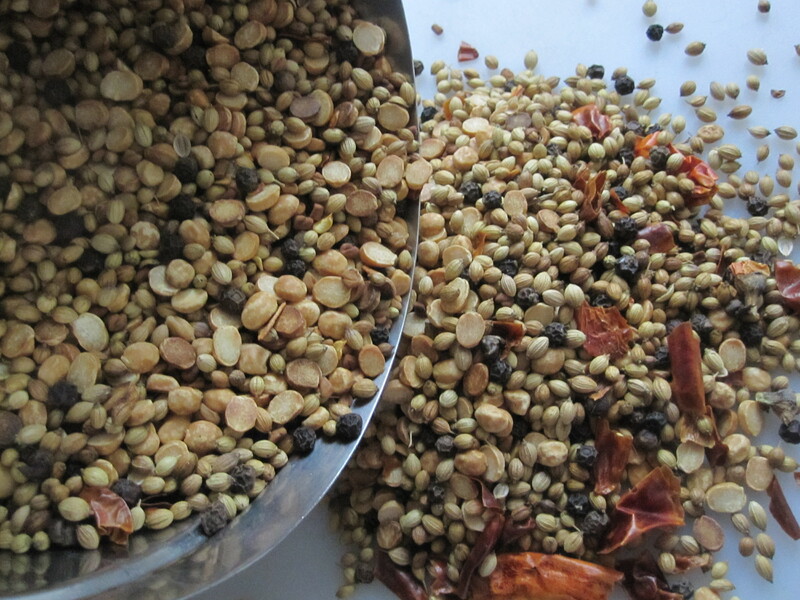 But to inform my readers about the ingredients that go into my sambar powder – I collected this from amma. Note: Chithi’s powder is different from amma’s!! Take measurements in limited quantities for less powder. Now to the making of Sambar … Generally in Tamilnadu, Sambar is made with split pigeon peas and one vegetable – Murungaikkai Sambar (drumstick sambar), Mullangi Sambar (radish sambar), Kathirikkai Sambar (brinjal sambar), Vendaikkai Sambar (okra sambar), Avaraikkai Sambar (indian broad beans sambar), Mangai Sambar (raw mango sambar), Keerai Sambar (spinach sambar) and a nearly never-ending list of sambar varieties. Sometimes it can be a combination of two vegetables -like murungaikkai-kathirikkai sambar – drumsticks and brinjals with lentils. Even though, we find many other vegetables like carrots or beans in sambars in restaurants, traditionally it is not preferred even now. 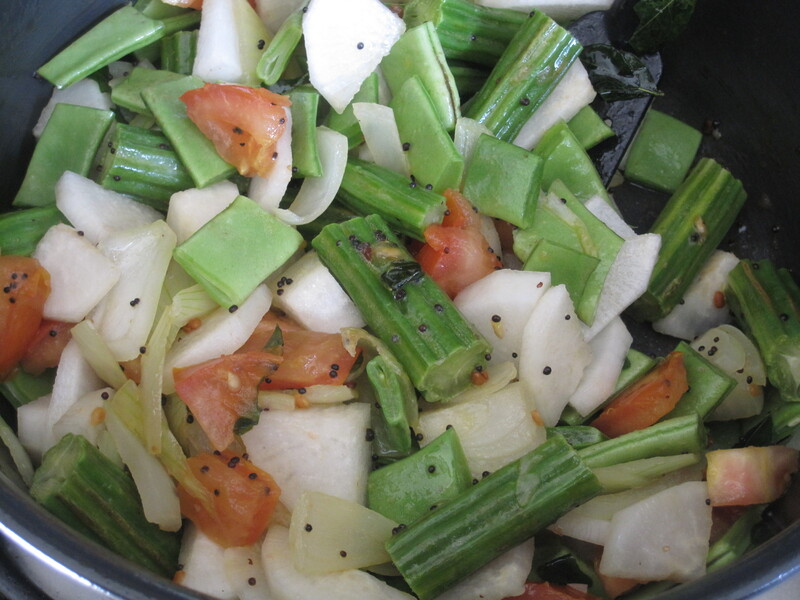 When there are guests from different parts of the world or even from other parts of India, I do mix up a variety of vegetables.. but when it comes to family alone, then there is only one vegetable – which does not go the non-sambar way! 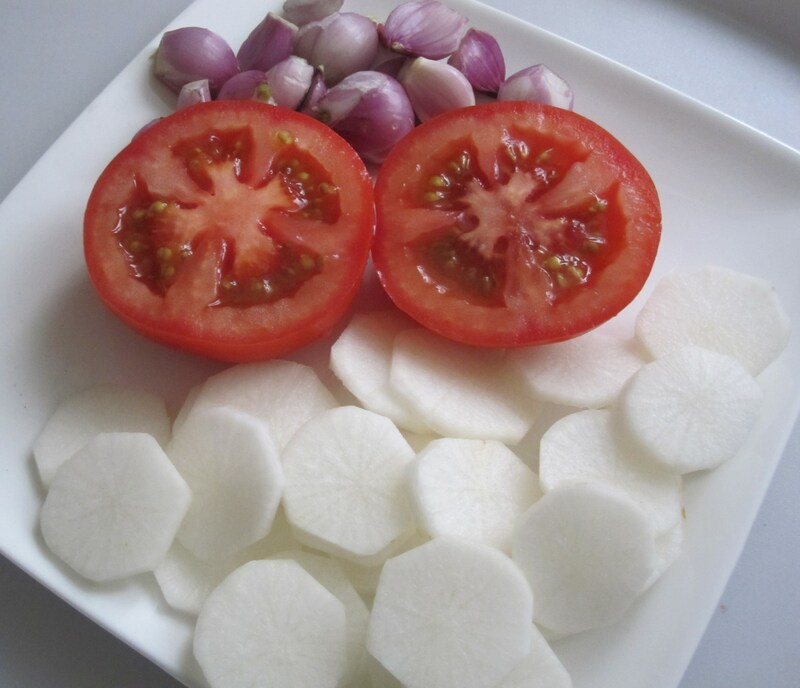 Thakkali sambar (tomato sambar) and onion sambar (shallots sambar) are generally had with idlis, dosais or pongal. 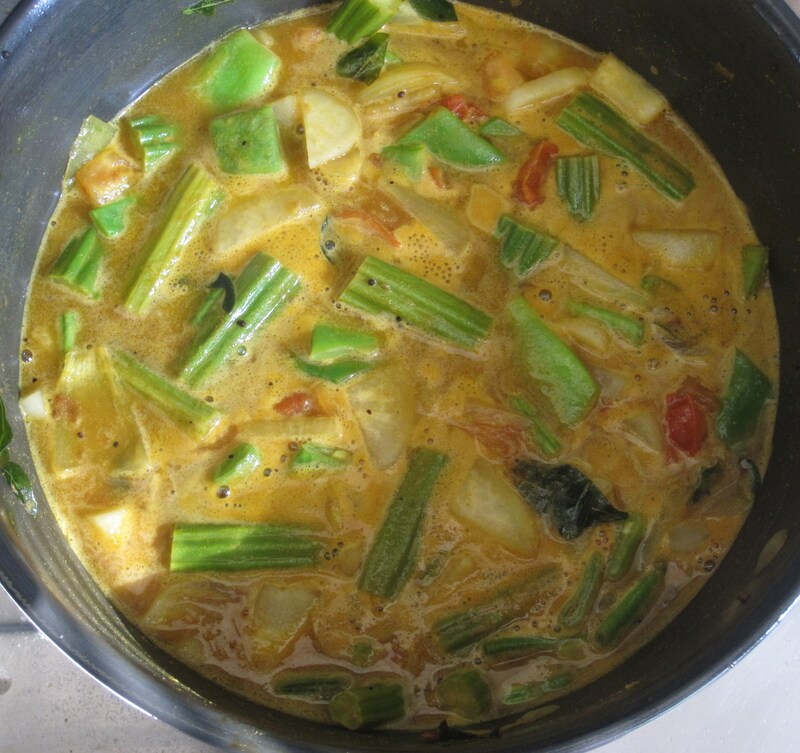 Sambar is ready; Serve with hot rice. Thoothukudi and Tirunelveli Sambars (Thoothukudi and Tirunelveli are my mother’s and father’s native places respectively) have ground coconut added in the end – that can be a different recipe all together… might be in the near future! Thanks a ton Subbu.It’s a totally different Sambar Recipe for me.I’m gonna try this for sure and will let you know ,how it turned out ? Great Sanju…let me know. try the powder in small quantities. Hello! Internally I feel very sad because you are leaving but i know this is our job and we have to move from one country to another. Your Dosaikal blog is very knowledgeable and all topics are very interesting, especially cooking recipes. I try some and enjoy unique south Indian taste. best wishes for the new posting. Thanks for those encouraging words. Shall surely keep in touch.